A cool slogan sweatshirt for a cool kid. This sweatshirt celebrates the uniqueness of every single child. 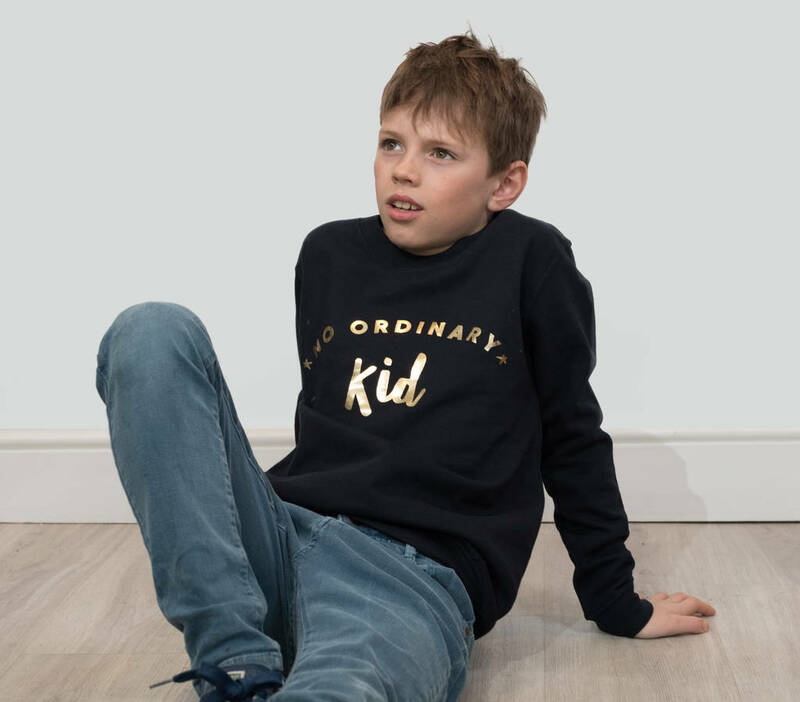 This children's slogan sweatshirt inspired by all the amazing, brilliant kids in the world allows each one to celebrate their individuality and let them show it off. The sweatshirt is ethically produced and has been chosen for it's comfort and durability. It's been road tested by our families and washes and washes and washes so kids just need to go out and have fun. A soft and comfortable unisex navy sweatshirt available in ages 3-4 all the way up to 12-13.